"PetKind is the perfect fuel for our adventures." A part of a healthy and active lifestyle is good nutrition. Living in the remote place Tron grew up in, it was hard to get good quality dog food. My name is Mieke, born and raised in the Netherlands, and I have been travelling the world with my pup for the past 3 years. It all started when I was living in a small village in the North of Vietnam close to the Chinese border. I fell in love with a tiny husky puppy, adopted him and named him Tron. He grew up between the rice paddies and buffalos and never left my side while we would trek through the northern mountains of Vietnam. Since then, we have traveled a dozen countries and two more continents before we arrived in Canada in October 2016. We absolutely fell in love with Canada and decided to start our residency application. We currently live in Vancouver and use this beautiful city as our base to travel from. During our travels we always get asked a lot of questions, why we do it, how we do it etc. 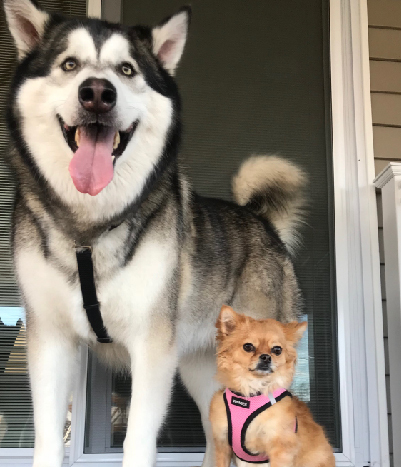 This inspired me to start PetVentures, to show people that adopting a dog does not necessarily mean you can't go anywhere or have to stop adventuring. I want to encourage people to strengthen their bond with their pup(s) and live a healthy and active lifestyle which is inspired by their pup. A part of a healthy and active lifestyle is good nutrition. Living in the remote place Tron grew up in, it was hard to get good quality dog food. I either had to travel 300km one way to go and get it or let it get send to me on a special bus. Over the years we have tried a couple of different brands in different countries, some better than others. When we moved to Canada, I found out about tripe and the health benefits. As we are on the road much (road trips, camping etc), it is impossible to take fresh tripe with us and keep it refrigerated. This is when I found out about PetKind and their products and we take them anywhere we can. Especially the Tripe Treats are a big hit with Tron! PetKind is the perfect fuel for our adventures. "We knew from the first bite, it was a match." To anyone and everyone who treats their dogs as family, PetKind is the food you need to be feeding. To anyone and everyone who treats their dogs as family, PetKind is the food you need to be feeding. Logan and Sookie, our 8 year old German Shepherds, have had food allergies since they were little puppies. We were finally advised of PetKind by our local dog food store in Barrie, Ontario and we knew from the first bite, it was a match. Logan and Sookie have always been grazers and food could sit all day in their bowls. Now as soon as we place their bowls down they become super excited. Their stool has never been this hard. We know in PetKind we have found a dog food to last the rest of their wonderful lives in Okotoks, Alberta. We cannot thank the company enough for creating such a wholesome, nutritious product for our fur-babies. "PetKind – The name truly says it all!" As a pet parent what I feed my boy is important to me. PetKind is a food I feel very confident feeding Brody. As a pet parent what I feed my boy is important to me. PetKind is a food I feel very confident feeding Brody. Its wholesome ingredients are all locally sourced and produced here in Canada, there are no dyes, fillers or gimmicks. Brody loves it and I love seeing him happy, healthy and thriving on PetKind. – 2 thumbs up and 2 paws up from Brody and his owner. Our two Jindos, rescued from dog meat farms, LOVE your food. Before, they were very picky and didn't seem to like anything. They also love the canned tripe. Here's Kai smiling for you, and this is Chloe, she's our other Jindo rescue. Both LOVE Petkind! "Shiny coat, fuels his high energy and I love the real ingredients in it." Just wanted to write and tell you how much we like your food! My rescue retriever mix, Jasper, is loving it! Just wanted to write and tell you how much we like your food! My rescue retriever mix, Jasper, is loving it! He is a bundle of energy and love! And going so well on the formulas. Shiny coat, fuels his high energy and I love the real ingredients in it. "We are excited to try your new flavours – I really love that you kept them chicken free!" Just wanted to say hi and that we love your products!! This is Flower. 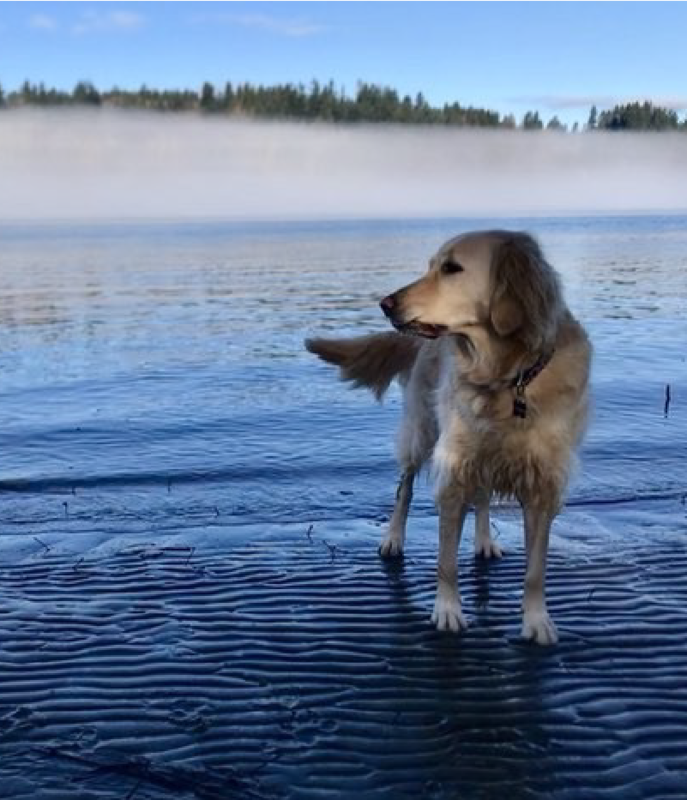 She's a 4 year old Golden Retriever who loves all your tripe treats and does really well on the dry food! Just wanted to say hi and that we love your products!! This is Flower. She's a 4 year old Golden Retriever who loves all your tripe treats and does really well on the dry food! We are excited to try your new flavours – Red Meat and the Single Protein Lamb! I really love that you kept them chicken free as she can sometimes have an allergy to chicken! Thank you and love that you're so local! "We LOVE LOVE LOVE that your foods have minimal pure healthy ingredients! " We buy the “That’s It” Petkind wet dog food in all flavours! We use the tripe also! You don’t know how hard it is to find a food for a fussy 16 year old GSD mix, born with one normal kidney! We hate reading the ingredients on other cans and being stuck as to what they are! When we get Callie the ones with 4 to 5 ingredients that you can actually pronounce and know what they are, it means the actual world to us!! we’ve gotten her this far (march 22 is our 16 years together, she turned 16 on January 19!) and your food is a huge part of it!! We buy the “That’s It” Petkind wet dog food in all flavours! We use the tripe also! Callie Bree is 16 years old. When her appetite started to decrease we knew we had to mix wet food in but had to be extremely cautious. Callie has one normal kidney (has from birth) and we are careful with her diet. To find ingredients that we can name and have had makes us feel so safe with her health and life. "Bella loves her PetKind Lamb food!" Bella loves her PetKind Lamb food! She had some tummy issues when I adopted her two years ago but she tolerates PetKind well and cleans her bowl each meal! 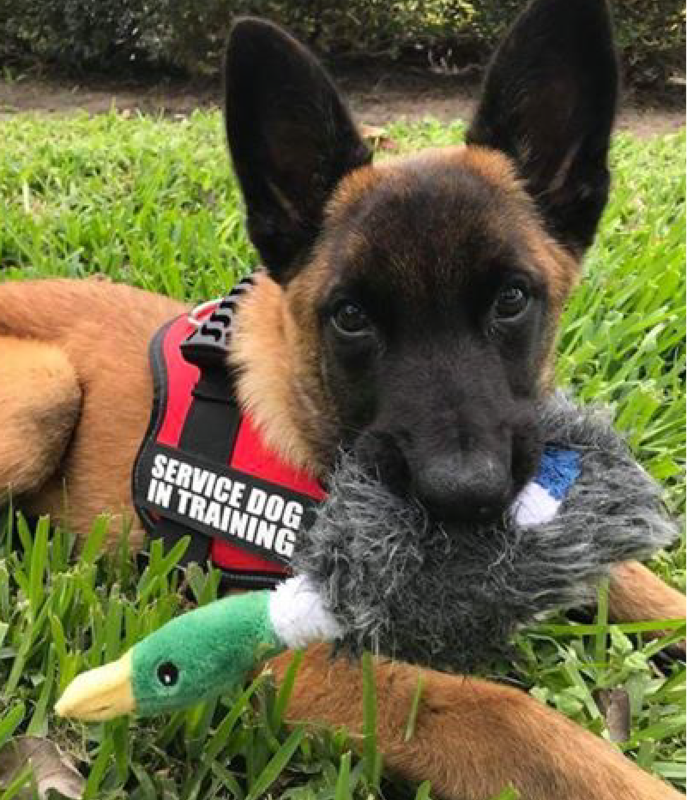 "He's growing up big & strong thanks to PetKind!" My new boy Cashew! He has a bright future ahead as a search & rescue dog here in the beautiful Creston Valley! He's growing up big & strong thanks to PetKind!" "Green tripe is disgusting but Rebelle loves it!" 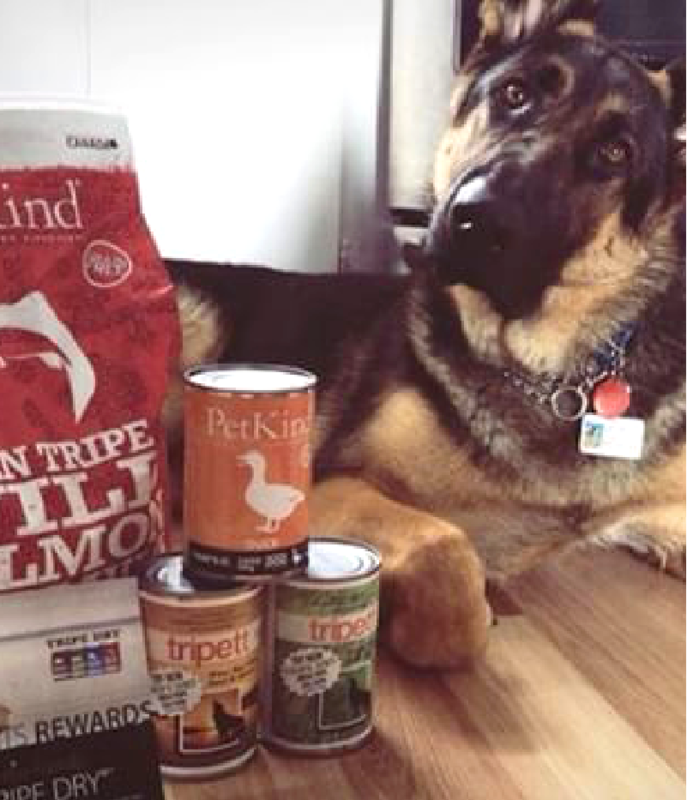 PetKind is proud to be fueling Henry’s best life. "Petkind is such an amazing brand." "Molly is loving your new red meat and tripe! Petkind is such an amazing brand. Thank you!" "On a personal note, I just wanted to say thank you from the bottom of my heart for saving my dog life. " Thank You. I know it is possibly a strange thing to hear as you are makers of dog foods. But seriously, I want to explain to you the impact that you have had on my boys. Thank You. I know it is possibly a strange thing to hear as you are makers of dog foods. But seriously, I want to explain to you the impact that you have had on my boys. A Jack Russell and a Beabull breed. About a month ago, my 15-year-old Jack Russell Kojo was diagnosed with renal failure. It would have seem from the vet that he was in stage 2-3. He was miserable all the time. He wouldn’t eat or drink much. It was a constant battle to get him to eat. I had been feeding him pretty much from hand. I didn’t know what to do. I spent so much trying to change foods to see if he would eat. Soft or dry. None of which seem to get him to eat. I eventually tried making soups, and cooking from home, he ate a little but nothing. He was losing weight and tired all the time. I thought that it was his time and was preparing for the worst. He was started on Fluid therapy as a result. As you know, they become our life and would do anything for him. I decided that I needed for my own reassurance to take him to another vet, to get a second opinion. It was to my surprise that he only had a mild case of renal failure, and then maybe was caused by something else. I was happy about that, but he still wasn’t eating. I started to research products lines and came across Tripe as being an excellent source for dogs. Well, it was worth a try. I started to research and found a butcher that carried green tripe. I order some and got it. He ate a little but still not much, but the smell made me ill! And preparing it, was a challenge. I further my research and found your company. I got a hold of a seller, but they had only had a few cans of the PetKind lamb tripe formula. I was in no position, but to get those few cans. It was pricey compared to my normal brands, and I was starting to look at the cost of veterinarian bills, it was starting to add up, but I had to give it a try. I prepared his food as soon as I got home. At first, he just sniffed at it, but then he tasted it. Lord and behold, he started to eat it and cleaned his bowl. I was astonished and relieved that I sat on the floor and started crying, I was so overwhelmed with emotions thinking that I was going to lose him if he didn’t start to eat after weeks of him nibbling on foods. After, he just couldn’t get enough of it. He has been eating this formula for more than 2 weeks without any fuss. He is not tired at all now and started to play, and very alert. Yes, he isn’t a puppy, but he is happy. He follows me everywhere, I think only to get more of the lamb tripe, lol. Honestly, it has been a real emotional rollercoaster, and I have been telling my friends my story and telling them about your products. […] I wish that it was more readily available as I will continue both of my dogs on PetKind Tripe formulas. It is amazing. On a personal note, I just wanted to say thank you from the bottom of my heart for saving my dog life. It is products like yours that reassures me that my pets are getting the best nutrition and care. "She LOVES the Green Beef Tripe formula"
Kenya is a 10 year old, 1/2 Siberian Husky and 1/2 Pit Bull mix. She has gotten extremely picky about her food the last year and the Green Beef Tripe formula was recommended by my local 'health food' store for dogs and cats. I was hesitant because it was pricey compared to other brands, but the store has a 100% satisfaction policy and said I could return it if she didn't like it. They also said it was originally made for older animals who had lost their appetites so I gave it a try. She LOVES the Green Beef Tripe formula and I will be trying other formulas as well. Thank you!!! "I noticed a big difference in their skin, coat and especially teeth." Yes, I consent to having my words (and pet's picture, if included) used by PetKind online and in any additional PetKind print materials.